'How To Belay with a GriGri' is part of the e-book - Sport Climbing Basics. Belaying at the crag is more difficult than belaying indoors. Uneven ground, falling rocks, strong sunlight, wind, insects, stray children and dogs are just some of the factors which complicate the task. 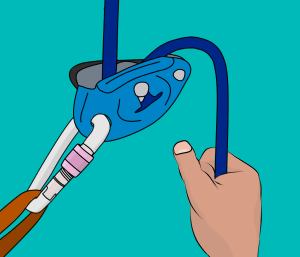 Any type of belay device can be used for sport climbing, though using an assisted-braking belay device (such as the Petzl GriGri) is the most common. The GriGri functions like a car seat belt. 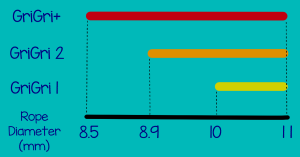 You can pull rope through slowly without it catching, but if the rope moves through quickly (e.g. 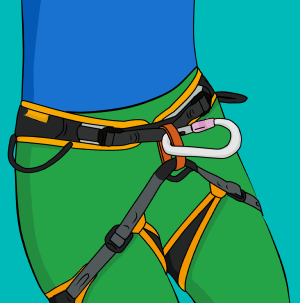 if a climber falls), a cam inside the GriGri rotates and pinches the rope. This makes it easier to hold the fall. It also requires much less effort to hold a climber while they rest for a few minutes. 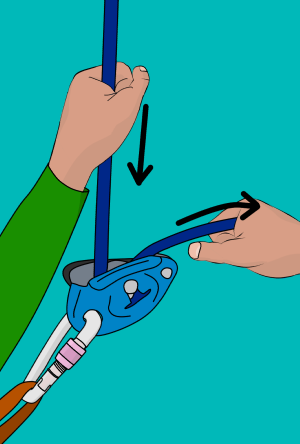 GriGri's are not auto-locking; you still have to hold the brake rope at all times, just like you would with a normal belay device. This is especially true with thinner ropes, very light climbers or if there is rope-drag on the route. 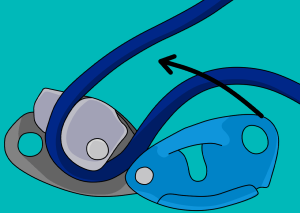 The GriGri can be a safe belay device, but accidents have happened due to improper use. GriGri's are designed to work with the following rope diameters. Make sure you're using the correct rope for your device. 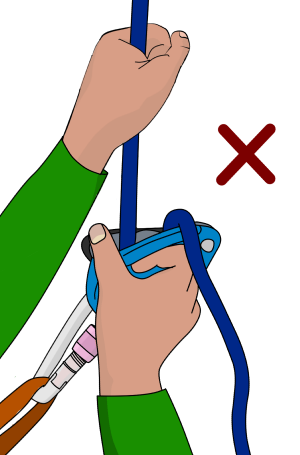 Open the device and feed the rope in as shown. (Diagrams for rope installation are engraved on the interior and exterior of a GriGri). Clip a screwgate carabiner to your belay loop. 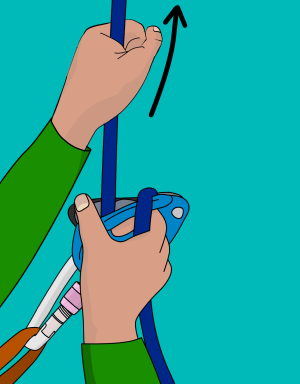 Clip the GriGri to the carabiner and fasten the gate. Simply pull rope through the GriGri as you would with a normal atc-style device, making sure to keep hold of the brake rope. If the climber falls, lock off downwards. The Grigri’s camming action will hold most or all of the weight. Pulling the brake rope down also helps the cam to engage rapidly. 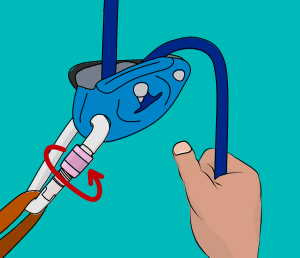 To give slack slowly, pull rope up through the GriGri as you would with a normal atc-style device, making sure to keep hold of the brake rope. Hold your index finger out while gripping the brake rope tightly with your other three fingers. Place your index finger under the lip on the side of the GriGri. Put your thumb over the back edge of the handle and push it down. This temporarily disengages the locking mechanism. At the same time as doing this, pull out slack rope with your left hand. 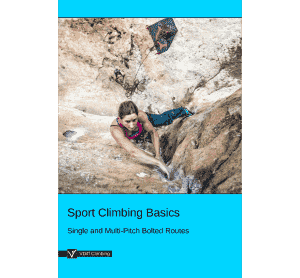 As soon as you've pulled out enough rope, go back to the primary belaying position. 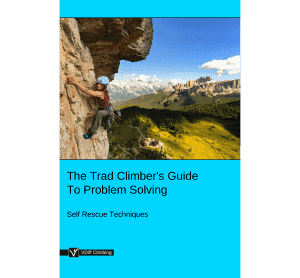 If the climber falls when you are disengaging the locking mechanism, immediately remove your thumb and continue to hold onto the brake rope. It's important to perform these steps quickly. Lock the rope with your brake hand, and slowly pull the handle back until you feel resistance. This will disengage the locking mechanism slightly. 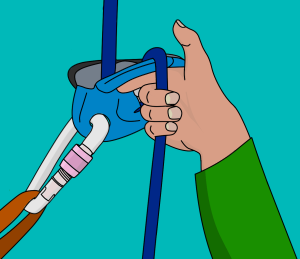 Hold the handle at this point and slowly lower the climber, making sure to keep hold of the brake rope. To stop lowering, simply let go of the handle. It's important not to pull the handle all the way back. This will completely disengage the locking mechanism, making it very difficult to keep control of the device. 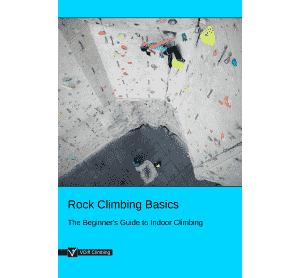 Remember to practise these techniques well in a safe environment before you belay someone at the crag. A bad habit while giving slack is to keep the handle held down without holding the brake rope. 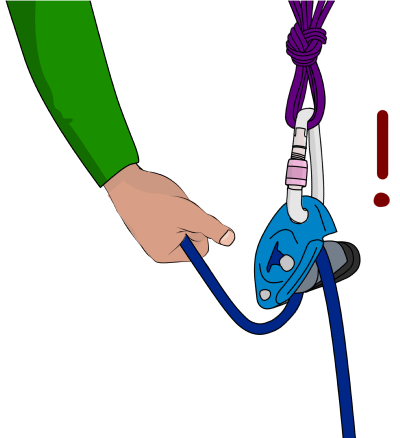 If the climber falls when you are in this position, you will not be able to quickly lock-off the rope (or lock-off at all). Lazy belaying can kill your partner. 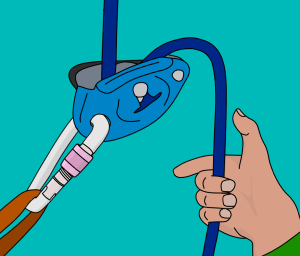 If you hold the handle down to give slack, even just for one second, make sure to keep hold of the brake rope and release your thumb straight away. 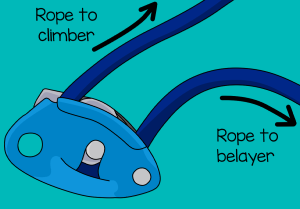 You can belay directly from the anchor with an assisted-braking belay device in a similar way to the guide mode technique. This method can be very dangerous if used incorrectly (see below). Set the device up as shown. 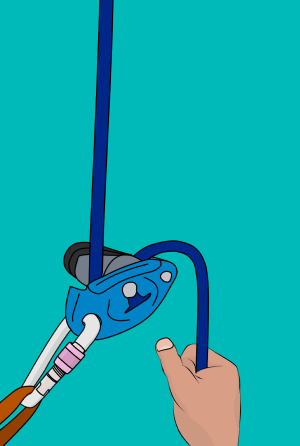 Make sure the device is orientated so the handle is away from the rock. If the handle is pointing into the rock, it could get jammed if the climber falls. This means it will not catch the fall. 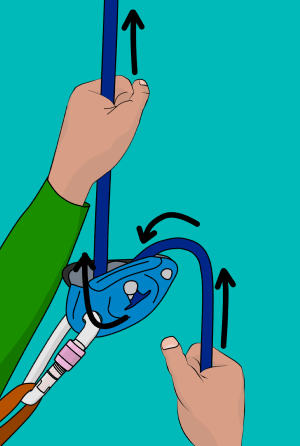 This technique is useful only when there is absolutely no chance of the handle catching on something or getting pressed into the rock, such as on an overhanging belay. 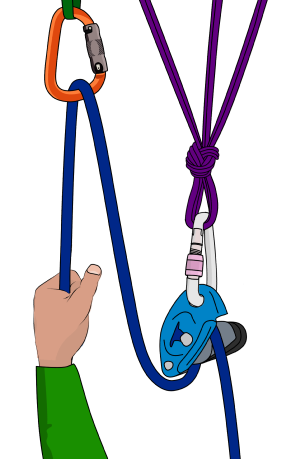 To lower a climber, use a re-direct on a high point of the anchor. Failure to do this will make it extremely difficult to lower a climber in a controlled manner. 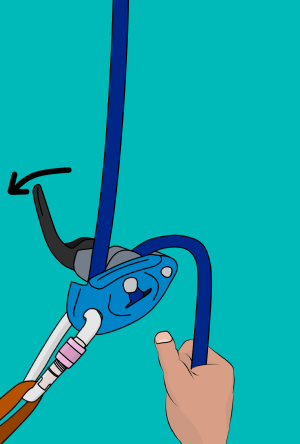 The manufacturers of assisted-braking belay devices recommend against belaying directly from the anchor due to the chance of the handle pressing on the rock in a fall. 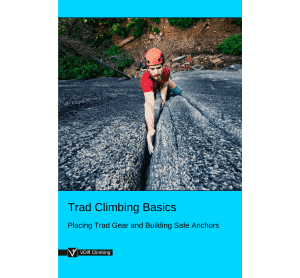 If you are not completely certain that your anchor is suitable for this type of belaying, you should use another method instead.